From Dec. 19th to 23rd, we visited Warsaw, Lodz and Opole in Poland. 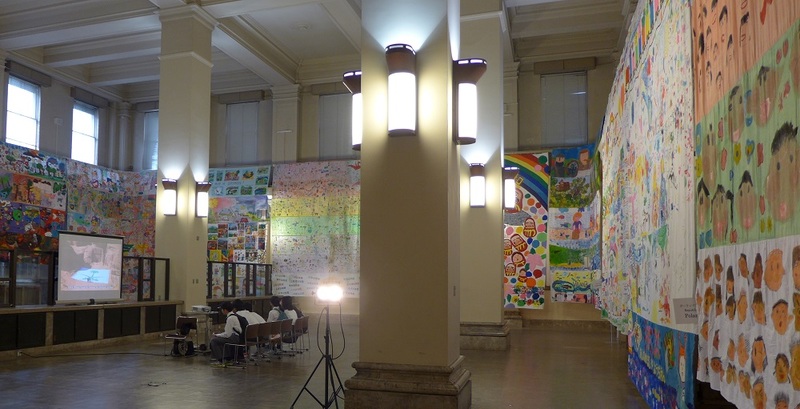 On Dec. 22, we held “the Biggest Painting in the World 2016 in Opole” in a kindergarten in the city. 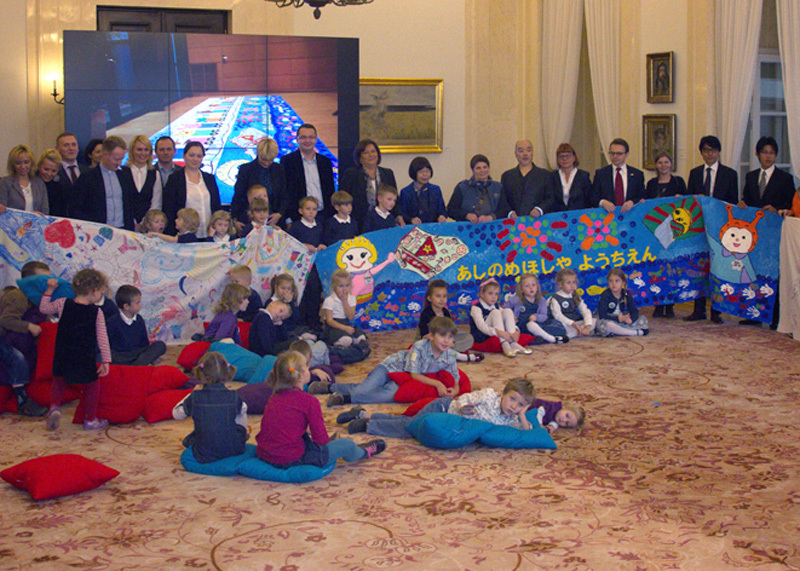 “The Biggest Painting in the World 2020 Poland & Japan” was held at the Presidential Palace in Republic of Poland, where the First Lady of Poland, the representatives of Polish Human Activists, President of Polish Chamber of Commerce in Japan and I made our handprints and signatures on 3 pieces of 1 m x 5 m cotton clothes on which Polish children had drawn their pictures. 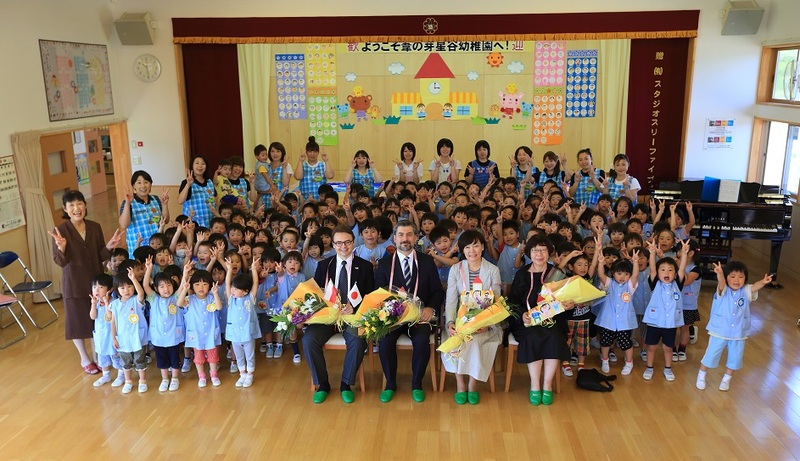 Visited Ashinome Hoshiya Kindergarten and Ashinome Kindergarten in Kesennuma to receive their Biggest Painting in the World and had photos taken with the Mayor of Kesennuma and Vice-director of Ashinome Kindergarten together with their painting. 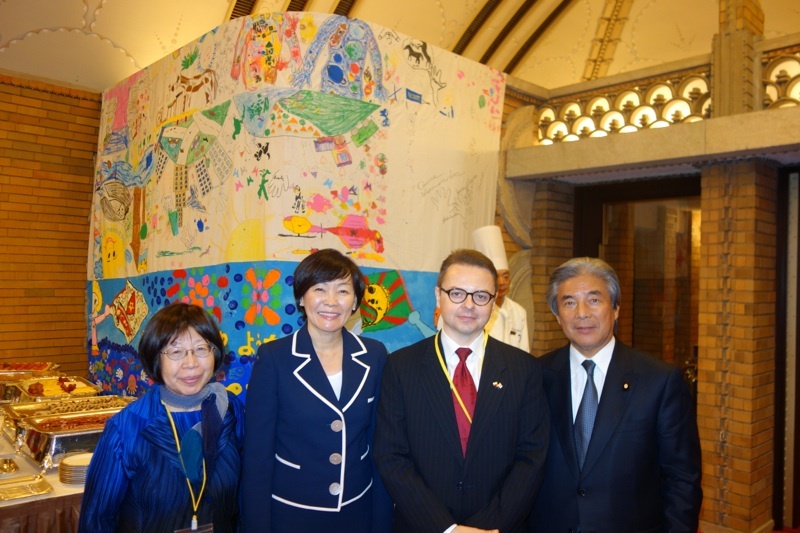 Visited Ashinome Hoshiya Kindergarten in Kesennuma at 10:00 on Sept. 9, 2013, with Mrs. Abe, the wife of the Prime Minister Abe, his Excellency the Ambassador of Poland to Japan, and Director of Polish Chamber of Commerce in Japan to watch the children paint the Biggest Painting in Japan in Poland and Japan. 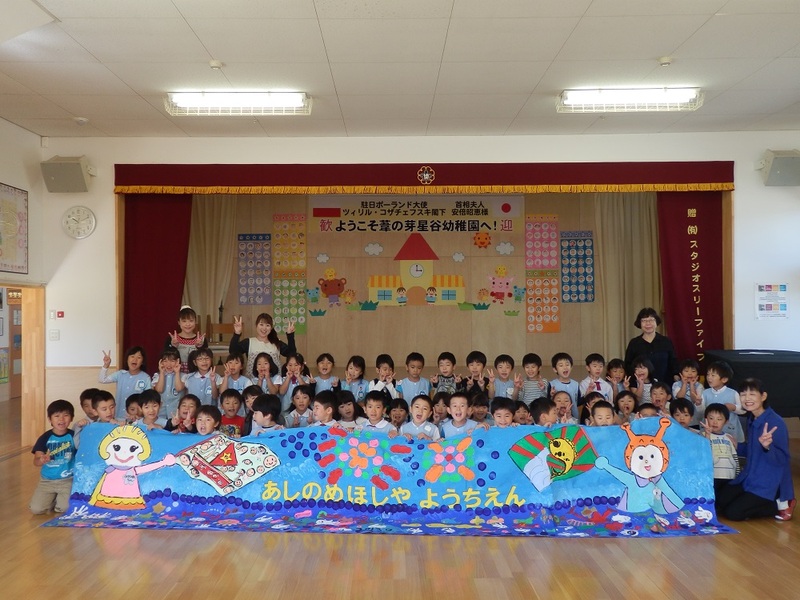 The children of the above two kindergartens drew their paintings on two pieces of 1m x 5m clothes, which will be joined with two pieces of paintings by the Polish children living in Japan and two paintings by the children in Poland. 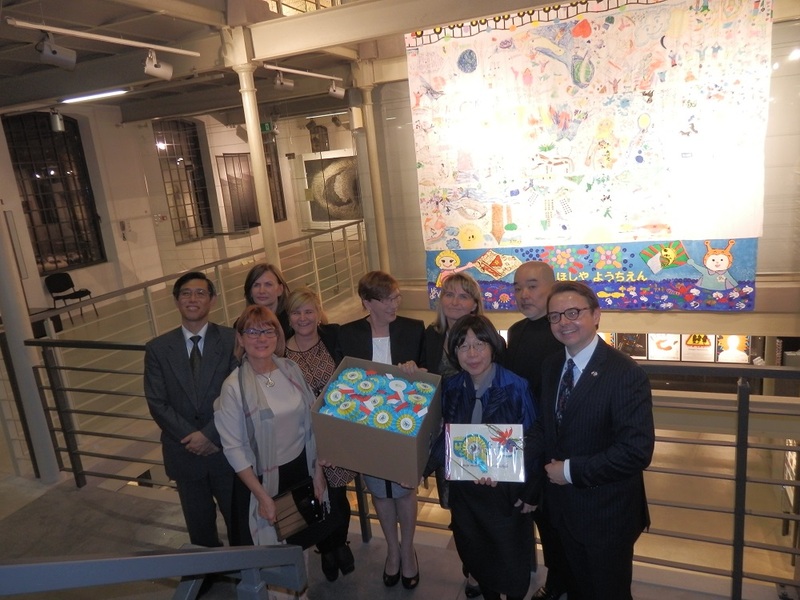 The completed piece will be again joined with the painting painted together with the First Lady of Poland at the Presidential Palace on Oct. 11, 2013, and exhibited at Japan Days to be held at Lodz Central Textile Industry Museum in Lodz on Oct. 15, 2013, as the Biggest Painting in the World Poland and Japan. 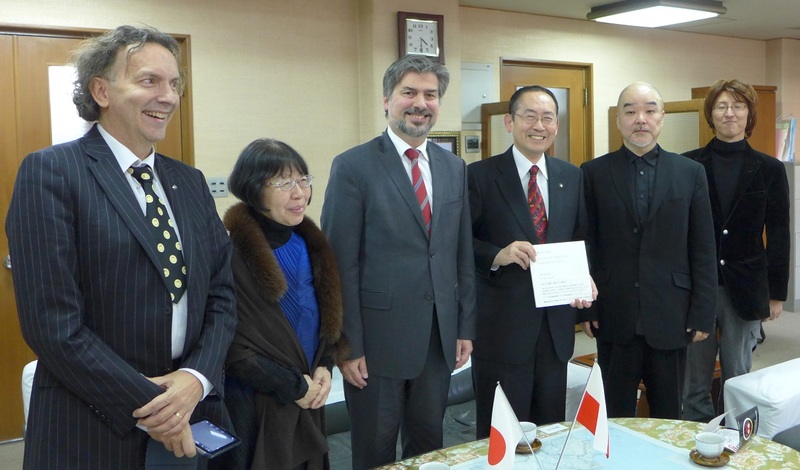 Embassy of the Republic of Poland: We presented cotton sheeting for the painting. Embassy of the Republic of Poland: We visited Embassy of the Republic of Poland and presented cotton sheeting for the painting. 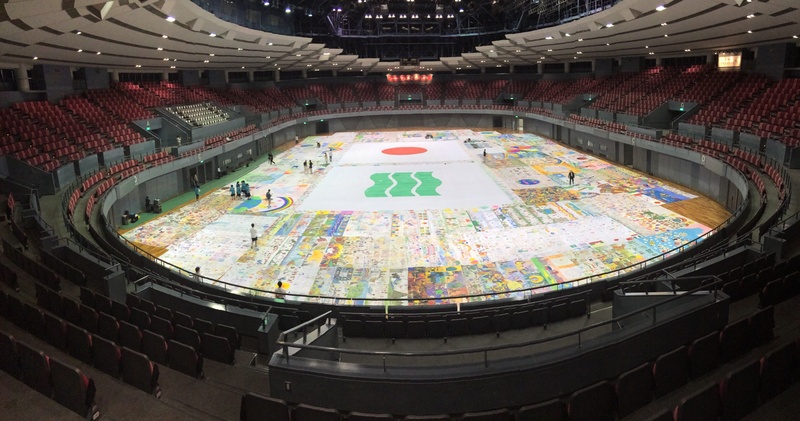 The Biggest Painting in the World 2016 in Poland was decided to be held in Poland from Oct. 15 to 19. Visited the Embassy of the Republic of Poland. Visited the Embassy of the Republic of Poland to return thanks for the Kick-off Party for the Biggest Painting in the World on May 28.